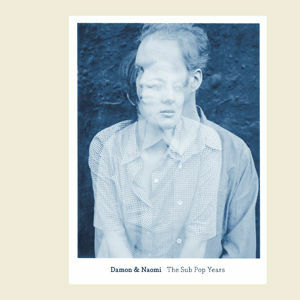 Damon & Naomi have just launched a digital store selling their new compilation album The Sub Pop Years. As well as being able to buy the album in both mp3 and Apple Lossless formats you can also buy one of the many good value packages which combine the album with other Damon & Naomi albuns from their Sub Pop Years. Here's the concept: download our new comp, The Sub Pop Years, with or without a physical copy on CD, and you can add for just a few more dollars a download of any one of the complete original Sub Pop albums. Choose your favorite Sub Pop album -- or one you never heard -- or take the lot of them, by ordering the deluxe packages we've put together. For example for just $19.99 you can buy The Sub Pop Years and all four of the bands Sub Pop albums. There are also packages that include the forthcoming 1001 Nights DVD released by Factory 25 (inlcuding the limited edition that comes with a vinyl copy of Song to the Siren. Head on over to The Sub Pop Years digital store.